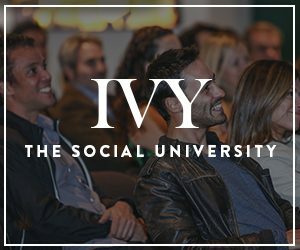 In this live conversation with IVY, Dr. Steven Radelet outlines the tremendous progress the world has made towards improving global education, health, poverty rates, and income — and how we can channel these patterns for a more positive future. Dr. Radelet is a world-renowned economist and global human development expert. He played a central role in shaping U.S. policy under the Clinton and Obama administrations, working as the Chief Economist of the U.S. Agency for International Development and the Deputy Assistant Secretary of the Treasury. He now serves as the Director of the Global Human Development Program at Georgetown University, studying the ways in which we can accelerate positive global development. For more information on the “untold story of the global poor today,” grab a copy of Dr. Radelet’s recent book, The Great Surge: The Ascent of the Developing World.